The elegant 5-star Iberostar Parque Central Hotel is located in central Havana, Cuba. Known for its colonial-style architecture, this hotel pulls in the rich culture of its surroundings. The Iberostar Parque Central Hotel is an excellent starting point for tourists wanting to dive into Cuba’s history and explore the most authentic streets and corners in Havana. Whether you are staying with us as a family holiday or a couple’s getaway, this top hotel is guaranteed to be an unforgettable experience. The hotel is nestled in the heart of Havana. Thanks to its coveted location, the hotel is within close proximity to the Capitolio, one of the City’s main landmarks. The neighboring streets and sites are lined with music, the best attractions, and popular destinations such as the Bar Floridita and La Bodeguita del Medio, notorious for their ties to famous American author, Ernest Hemingway. Guests can admire unbelievable city views from the charming French windows and doors of the hotel. 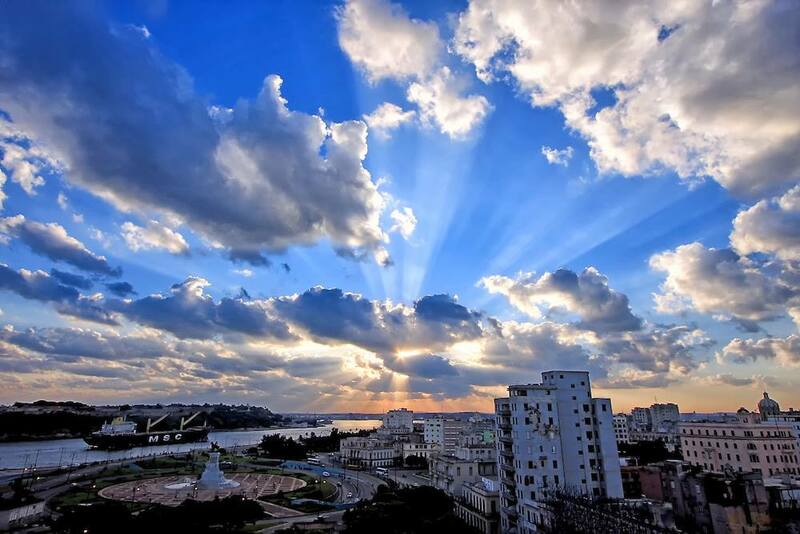 The hotel allows for unrivalled vistas of Havana’s distinct glass buildings including the Capitol Building, the Great Theatre of Havana, and the Fine Arts Museum. Guests can also enjoy the most spectacular view from the Iberostar Parque Central Hotel’s pristine rooftop swimming pool. Every comfort and luxury that you could hope for in a hotel is offered at the Iberostar Parque Central. All rooms are fully furnished and provide a wide array of amenities. Accommodation choices range from our Double Rooms to the majestic Presidential Suite. Kids free under 2 years old! The reservation will be received and will be confirmed between 24 and 72 hours, you can pay once availability is verified.